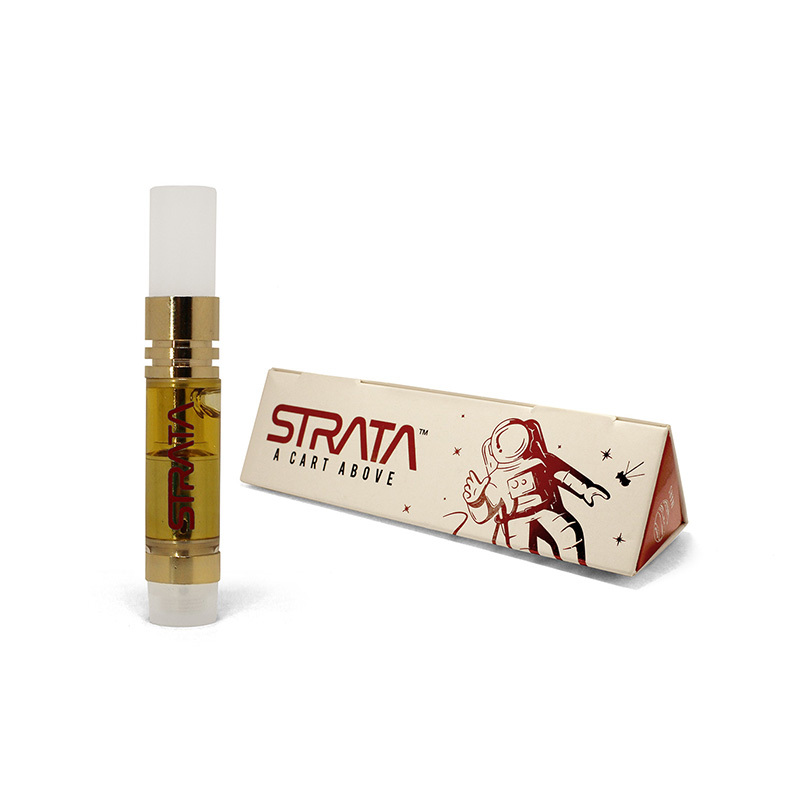 Blast off to new highs with Sublime’s next generation vape cartridges – Strata. These carts are filled with our prized cannabis oil and more cannabis-derived terpenes for out-of-this-world flavor. Each cart is compatible with most standard vape batteries. Powerful and fiery as the God of War, this luminous sativa spurs an otherworldly experience with its bright lemon, terpene-rich taste. This cart is great for getting things done. This lively sativa hybrid, with a tangy, earthy orange taste, will get you buzzing like the fastest-moving planet. It lends itself well to cooking, dinner parties and paint nights. Calling on the God of the Sea, this indica hybrid, with a clean, fruity taste, will move you into orbit with a zero-gravity body high. It’s suitable for restful evenings, long walks and record-listening sessions.